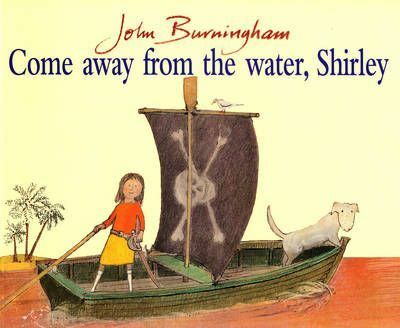 While Shirley's parents sit on the beach with their knitting and newspapers, Shirley embarks on a fantasy adventure, interrupted only when her parents become over-fussy. The author also wrote "Granpa", "Oi! Get Off Our Train" and "Borka, the Adventures of a Goose with no Feathers". On a day trip to the seaside Mum and Dad settle down in their deckchairs to snooze the day away while for Shirley it is a chance to set sail for uncharted seas, adventure and buried treasure. But not before her Mum has warned her off the dangers of tar, stray dogs and cold water...With the alternative pictures giving both sides of the story, children and adults alike will appreciate the humour and observations from this well known children's author.